According to the Diabetes Association, 25.8 million people in the United States, or 8.3% of the population, have diabetes. At our clinics, our competent and experienced medical providers will assist you in staying one step ahead of your diabetes with the most up-to-date treatment interventions. Treatment, monitoring, and coping strategies make up the focus of our care. We offer group education classes teaching the management and coping of diabetes.CARDIOVASCULARThe biggest causes of deaths are related to cardiovascular diseases. 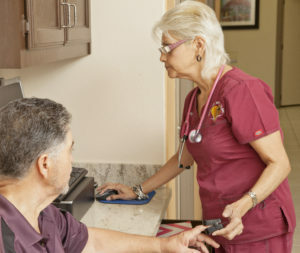 From arrhythmia, cholesterol heart attacks, diabetes and stroke, our medical providers focus on the management of your cardiovascular condition. The American Heart Association recommends well-balanced nutrition, physical activity, weight and stress management and no smoking as key contributors to a healthy cardiovascular system. Our medical providers focus on your specific needs, work with you all along the process, and provide you with the treatment your cardiovascular condition needs. The American Lung Association reports that “the average adult takes 15 to 20 breaths a minute – over 20,000 breaths a day”. Your nose, throat, windpipe (trachea) and lungs make up your respiratory system. All of these organs bring air into the body when you breathe. Keeping your lungs healthy is an important part of an overall healthy lifestyle. At our practice, we help you manage your pulmonary condition and, if needed, provide you with the appropriate referrals. Managing weight is central to other medical conditions like diabetes and cardiovascular diseases. At our practice we pride ourselves in providing the most up-to-date information and resources on weight management. As our patient, we commit to assisting you through information and treatment.